One of my favorite activities is to browse through used bookstores to see what turns up. I don't buy a lot of new science fiction novels anymore: It's worked out so that most of the books I want to read come to me for reviews (although I still buy my share of new books, usually from several of Vermont's fantastic indie bookstores), but there's something cool about an older paperback. One such recent purchase was a pair of John Wyndham novels, The Day of the Triffids and The Kraken Wakes. They're gorgeous Penguin editions with some outstanding cover art. One of the larger debates in science fiction that's raged on for decades concerns the definition of the genre. What constitutes science fiction? There's tons of definitions out there, but there's also arguments which attempt to exclude books. I've had people complain about some of my Buzzfeed lists of new books, saying that there's too much 'literary' inclusions. Certainly, recent books such as The Magicians by Lev Grossman, Station Eleven by Emily St. John Mandel and California by Edan Lepucki have their feet in both sides of the argument: authors inspired by genre fiction, but whose works are broadly appealing to mainstream audiences. Throughout my column with Kirkus Reviews (and a major topic for the book that it's turning into), I've been fascinated by the way science fiction has adapted over time, and how, in an increasingly technological world, elements that used to be confined to genre novels have bleed into mainstream works. Certainly, thrillers from authors like Michael Crichton or Tom Clancy would have been the stuff of genre fiction in 1939, and there's certainly plenty of mainstream fiction novels that deal with genre-like material simply because it's become relevant in this day and age. I think much of the angst over this comes not from content, but the sense of betrayal for a closed-knit community, for branching out of the genre and into larger, more profitable waters. Science Fiction is fairly insular, with a churning melting pot of science fiction fans and professionals working in close proximity to one another, often from a very early age. Organized fandom is probably not too dissimilar to a cult or religious group, with their own idols, worships and rituals, and where any attempt to modernize or drastically change the makeup is met with open hostility. Science Fiction has left the community: major films like Star Wars broke those doors open years ago, and if the increasing popularity of shows like Arrow, or The Big Bang Theory, events like San Diego Comic Con or film franchises like the Marvel Cinematic Universe are any indication, they're not closing anytime soon. Going back to the 1930s/1950s, there's already cracks in the exterior, and John Wyndham proved to be an interesting author to look at when it came to jumping from the science fiction world to that of a larger, mainstream audience. Transformations: The Story of the Science Fiction Magazines from 1950-1970, Mike Ashley. Ashley has a dedicated couple of pages looking at Wyndham, particularly when it came to the start of British Fandom. Martians, Morlocks and Moon Landings: How British Science Fiction Conquered the World, Jamie Austin. This is a book that recently arrived for me, and they talk quite a bit about Wyndham and his famous work. Science Fiction Writers, Second Edition, edited by Richard Bleiler. There's an excellent biographical thumbnail of Harris in this book. Seekers of Tomorrow: Masters of Modern Science Fiction, Sam Moskowitz. Moskowitz is someone to always take with a grain of salt, but he includes an interesting piece on Wyndham and his works. It's interesting to see his opinions on Harris's stories, as opposed to other genre critics. The Way the Future Was: A Memoir, Frederic Pohl. Pohl mentions Wyndham's sale of Triffids and how it was a landmark sale. 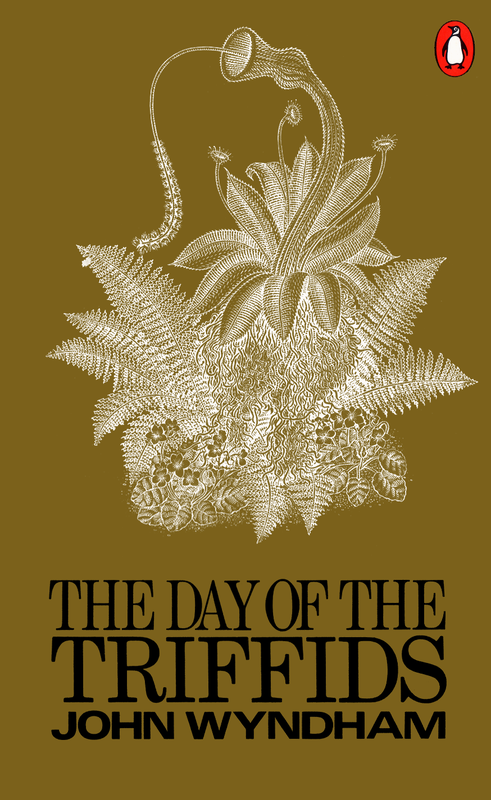 Day of the Triffids, John Wyndham / Edmund Morris. Edmund Morris provides an excellent contextual introduction in this 2003 edition of the novel. John Wyndham & H G Wells, Christopher Priest. Priest has some interesting things to say about Wyndham and Wells. Wyndham, John. The SFE has a good overview of Harris's career and his place in genre history.